Ginger Soy Soba - the easiest and healthiest noodles made with ginger, soy sauce, honey and Japanese soba noodles. 15 minutes to make! Originally published on Dec 22, 2012. Updated with new photos. My friend Simply Reem is famous for her ginger soy soba noodle. Her soba noodles with sweet ginger scallion sauce is one of the most pinned noodle pictures on Pinterest, and that says a lot about the recipe. When I told her to fill in for me and guest post on Rasa Malaysia while I am traveling overseas, I suggested to share her famous ginger soy soba noodles with Rasa Malaysia readers and she happily accepted it. This amazing tasting noodles are so easy to make, healthy, and takes only 15 minutes to make. The only thing you need to cook is the soba noodles, which takes about 10 minutes in hot boiling water. The rest is about tossing the noodles with the sauce. 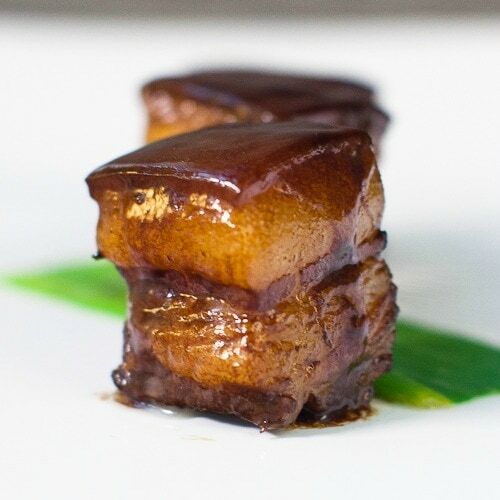 I love the sweet ginger sauce with soy sauce, ginger, sesame oil and honey as the key ingredients. The noodles are savory, with a tint of sweetness and the gingery nuance in every bite. So delicious! This is a perfect dish to serve the entire family. Mix all the ingredients for the Sweet Ginger Sauce in the bowl. Set aside. Boil the soba noodles per the instruction on the package. Drain well with cold water. Add the sauce, sesame seeds and toss the noodles well. Garnish with the chopped scallion and serve immediately. All photos and recipes on Rasa Malaysia are copyright protected. Please do not use the photos and recipes without prior written permission. 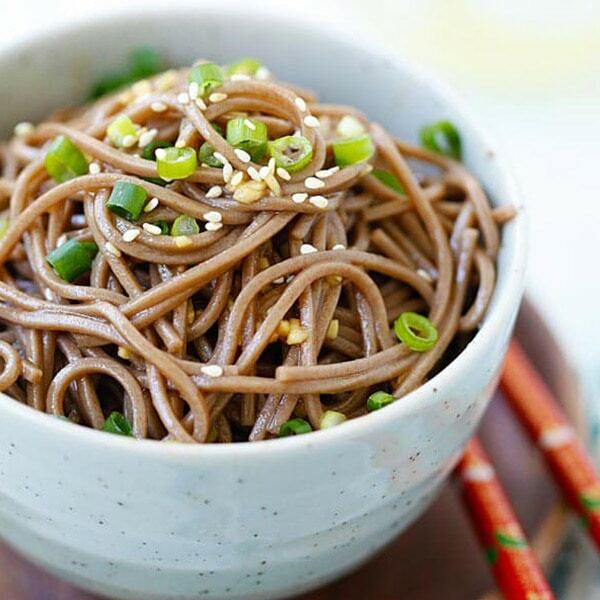 If you wish to republish this recipe, please rewrite the recipe in your own words instead of copy and paste and link back to //rasamalaysia.com/ginger-soy-soba-recipe/. Thank you very much! I have been reading your blog and using your recipes for sometime and I find your recipes wonderful! Unfortunately, where I live its really quite expensive to buy many asian products. Do you know if I can replace chilli oil and rice wine vinegar with something else? You can use red pepper flakes or little chili sauce in place of chili oil. Also use plain white vinegar insted of rice vinegar. Nice one! Would be great for summer down under! H, I want to make this as an appetizer for Christmas Day, and I was wondering if there was suppose to be soy sauce added to this recipe? Do you have a good replacement for chili oil, for example could I use red pepper flakes? How much salt and pepper do you recomemd? I hope you can get back to me soon! If you want to replace chili oil with red pepper flakes, you can do that, as for salt n pepper you can do that as per your taste. Go little light on salt as soy sauce will add saltiness to the dish. How I love soba. This is a very very good entrée idea. Soo easy too! Hi Bee, Is there any way you could publish a recipe of the Indonesian Kering Kentang (friend potatoes). I had some in a friend’s house & absolutely loved it. P-L-E-A-S-E. Thank You!!! Hi, again I just had one more question, how do you measured 2 oz of soba noodles, I don’t have a scale to weigh it. How would you measure this amount. You need a scale or you estimate. 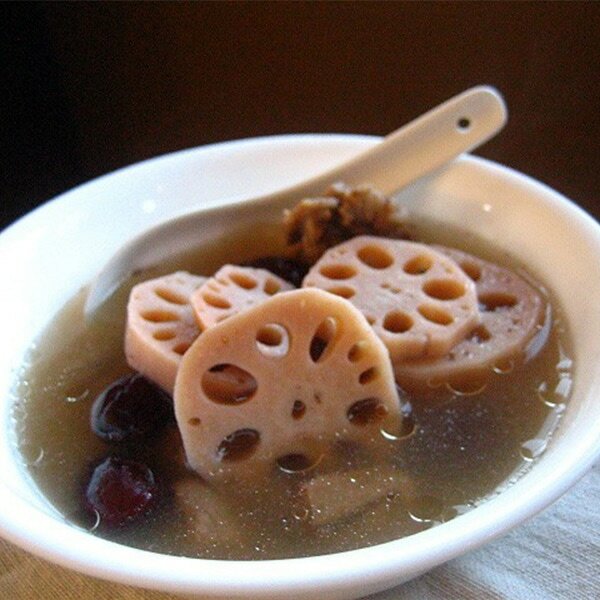 This is one of my favorite noodle dishes. Delicious! Thank you Bee for the nice recipe. I like Zaru Soba, the cold version. It is popular in the Japanese restaurant in Kuala Lumpur. Is it advisable if I make it the “cold version’ of your recipe? I think you can make the cold version just fine. Just chill it. Just a great and easy recipe. Made it three times in the last three days :D Thanks a lot!!! Oh man, i think i’m in love already. This ginger soy soba is super wonderful. Sophisticated, delicate. This is not just a dish. This is an art.